In addition, spelling problems, difficulty with word retrieval and verbal fluency, and language processing problems can all contribute to difficulty producing a written product. Because dysgraphia can include various components, multiple evaluation tools should be used to determine your child’s specific problems. An Occupational Therapist can evaluate the fine motor problems, but for the purposes of identification for school services and accommodations, an evaluation by a licensed psychologist or a certified school psychologist is needed. Following is a list of categories, along with possible assessments, that a psychologist may use for evaluating dysgraphia. Usually one measure is used per category. And while this list includes many commonly used measures, it does not include all options. I also like the Process Assessment of the Learner-II (PAL-II), normed up to grade 4, which also looks at the ability to listen and take notes. 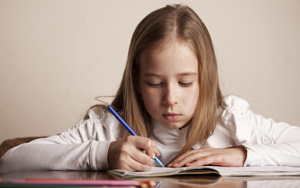 Obviously, children with dysgraphia of all ages will have trouble taking notes; unfortunately there is not a note-taking test for older students.